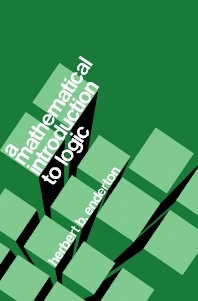 This book gives a mathematical treatment of the basic ideas and results of logic. It is intended to serve as a textbook for an introductory mathematics course in logic at the junior-senior level. The objectives are to present the important concepts and theorems of logic and to explain their significance and their relationship to the reader's other mathematical work. For junior-senior level undergraduate students interested in Logic.